Just to cheer up all those University students who are feeling the pressure (probably the pressure I added to with my last blog post…eeek…! ), I wanted to give you a glimpse into a typical day in the life of a first year music student. 7:30 am: wake up, shower and eat cereal. Pack bag lunch, and tidy up big slob mess that roommate has made of the kitchen (sigh). Pack school bookbag, get on bicycle (or bus), -and ride to first class with teacher who puts you back to sleep. 9:10 stagger about looking for coffee, and re-direct self to library to find materials for essay due in two weeks. 9:17 locate books for essay, put in locker for later review. 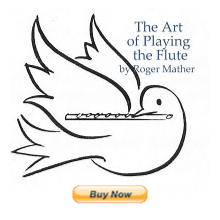 Get flute and music, take to practise room and warm up tone, do several scales and try a bit of the new etude. 10 am: Class with insane teacher who’s barely holding onto his own vision of the universe. Take copious notes (even though they currently make no sense), and put stick’um page-markers in the textbook so can read over assignment at lunch time. 1 pm. Go to library to work on essay for English. 4:30 Get flute and go to practise rooms. Warmup up, get your tone, and then practise etude, scales and a bit of solo piece. 5:15 Head for home, and pick up one or two groceries for dinner. 7:15 finish homework assignment for tomorrow’s Harmony class. 8:20 tidy up room, do laundry, check email. 8:45 Practice flute, playing solo and etude in small bits to perfect each segment before weaving them back together. Enjoy yourself. Make MUSIC! 9:30 sort out jotted-down lunch-time notes for essay due in two weeks and start summarizing chapters for Music History test next week. 10:00 sing in the shower. Put laundry in drier. 10:30 phone best friend and have a laugh. Hope this helps give a good over-view of how a student is supposed to fit everything in. Some days are better than others. Mainly you simply have to keep moving without going crazy. Feel free to create your own schedule based on your own needs. Aside from actually having to have my own apartment and all the crazy stuff of having to actually go somewhere to learn, it sounds sort of reminiscent of my days now! Fuuuuullll from dawn until dusk! :) Haha!!! Very exciting! Yes the "own apartment" stuff: luckily for me my mum taught us how to cook meals, and how to clean house and do laundry. These are all part of being a musician too. hahhaa!! - they have to pay their bills. This is ALOT for someone who is just 17 or 18 yrs. old and is doing everything for this first time. So I'm trying to help by giving a picture of what it would be like, so they can mentally prepare. It's true, being prepared as a homemaker is important for ALL aspects of life. I can't imagine getting to college and not knowing how to cook your own meals or do your laundry, but I guess it happens more often than not, as evidenced the the crazy amount of prepared food in our grocery stores. Scary! That's why I make one meal a week, and I would love to up that to two. :D Yep, the scary part is having to deal with bills and such, and being a night owl myself, getting to sleep in decent time can definitely be difficult.